Due to some security concerns, I would like to setup a home CCTV system that would have about half a dozen cameras connected to an offline pc. They would need to have a good quality picture, night vision, a decent fov and not obvious. Ideally, it would record 24/7 and just make video files when the cameras detect movement. I have been looking at cctv cameras but all the ones I can find that have the features I want are wifi based which is useless to me. I have around £1000 to play with but so far I've gotten nowhere. I would like to connect them all by cable to the pc if possible. Your best bet will be to look into a PPoE system and "hub/router" which will allow for the powering of the cameras as well as to connect into your network. If you must have "cable" connections you can do that with a capture card of the size needed for the number of cameras and independent power supply. Unless you are already adept and familiar with stripping and crimping the appropriate cable, or making network cables, you best bet (and legal option) is to purchase a prebuilt/pre configured system. If you have a place to power them the Arlo and like cameras work quite well for what they are. This field is a huge space and anything is possible with funding. Thank you for your recommendations, i know my way around tech but my partners brother is the real techy genius. thank you very much for the recommendations. I have had a brief look at the Arlo cameras and they seem like high-quality cameras. i will have a look at their specs when i have some free time. There are any number of multi camera systems, starting at about $250. 4 wired cameras and a dedicated DVR for recording. Going up in price gets you better quality cameras. I purchased a Lorex analog system last year and I have been very happy with it. It uses its own DVR and you can run a windows-based application to control/view the cameras in addition to a dedicated HD monitor/TV. You can also use a browser to manage the system (IE is the only supported browser). It uses a 1 TB WD purple hard drive which can be upgraded to a 4 Tb or 8 TB one. 1 TB gives you about 2 week's storage with 2 cameras recording continuously. You can configure it to record only on movement, in which case the recording time would be a lot longer. and there was no problem with the cameras. Something else I would point out in regard to all this. There are several very different approaches to camera systems. In general you decide to have visible systems with obvious installation, or you have covert installations with camouflaged or fully hidden cameras. In regard to the last you may want to check your jurisdiction for the legality of those for outdoor use, and in some cases even have to put up a sign on your door, etc. informing people they are being filmed. There are also different approaches about what you expect out of the system. According to the quality of the set and particularly the lens length and viewing field cameras can go from simply "seeing that something happened" all the way up to telling what color eyes they had, tag numbers. etc. In most areas of the states you actually have to have a low voltage license to terminate cable ends. There are a variety of pre configured systems like what some folks linked above. By and large, many of those type systems are along the line of "see something happened" quality, particularly for outdoor use. The Arlo and like systems are much like that as well unless you are using a very limited field of view. Typically speaking, anything that would have the ability to look across a yard, driveway, etc and actually discern detail is going to cost you. Also, don't focus too much on the 'motion detection' thing. It is notoriously hard to get the sensitivity right. Passing clouds, neighbors bush blowing in the wind. A flag. At night, headlights from passing cars. 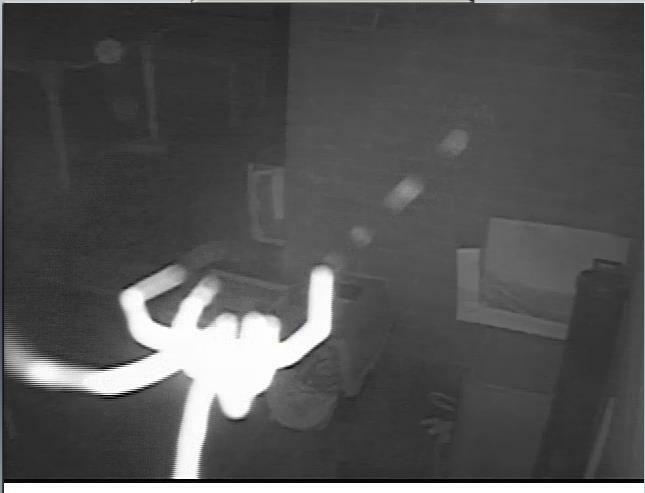 You are right about the motion detection issue. It can be a real bear! We've had arlo for quite some time now and surveillance wise, I think it's good, It's clear too, even in the dark. The only problem I noticed is that its battery can be a bit faulty. We used to charge it every 4months, now we're down to 2months max.